It wasn’t until 3:30 yesterday that I found time to get onto my elliptical, and, of course, 15 minutes into my workout, our recently retired professor pal, Kay, rang the doorbell. Mark answered and the two of them chatted while I finished my work-out. About two minutes later, the doorbell rang again. I was still sweating, in an orange and gray work-out shirt, baggy black shorts and pink socks when I opened the door to find my stepson, Arthur, holding a giant bouquet of flowers from him and his sister, Holly. 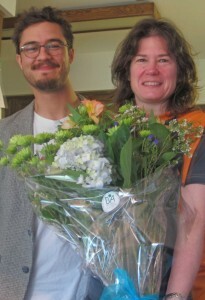 He looks great in the photo below, as do the lovely flowers. I could have used a shower. After taking my mom to church today and out to dinner at Olive Garden, I returned home to chat with from my three stepdaughters, calling as far away as Germany. Then I got a Mother’s Day present from Mark. Now, these are not just any lures. 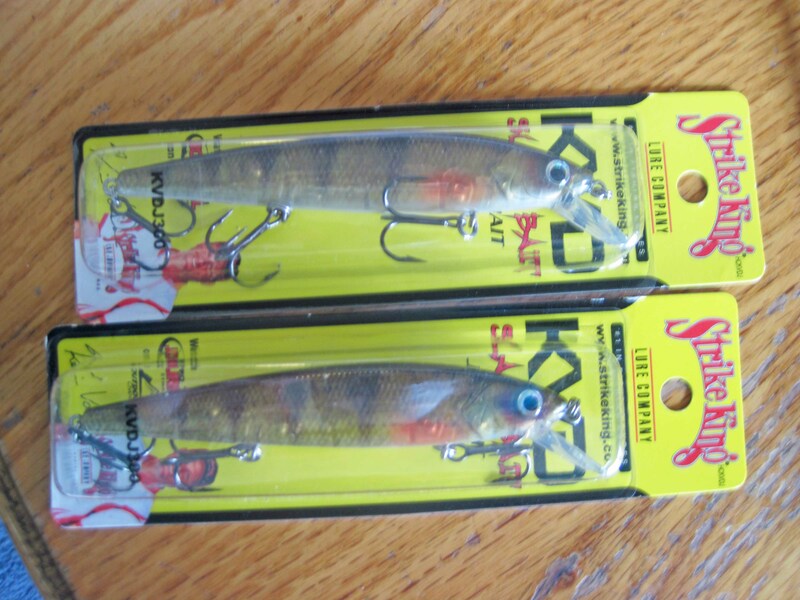 They are endorsed by famous bass fishing master Kevin VanDam. 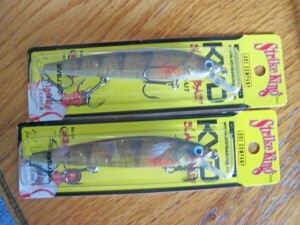 In fact these lures are KVDJ300s. The back of the package tells me it was “Designed with the perfect combination of roll, flash and wiggle!” Oddly enough, I think I was attracted to Mark because he had the perfect combination of roll, flash and wiggle. So how cool is that? All in all, a very nice Mother’s Day indeed. I hope all the moms out there had a great weekend, too.